Kurtis are the most used fashion silhouette. It is also the silhouette which is worn by most of the age groups. They can be short and long, and are best for summers. Try different colors and mix and match of prints, different cuts and hemlines. Here are few styles to try this season…. Vertical Lace Effect– Creating a lace pattern at the center front of the plain kurta makes it look rich. A splash of contrast buttons complete the look. 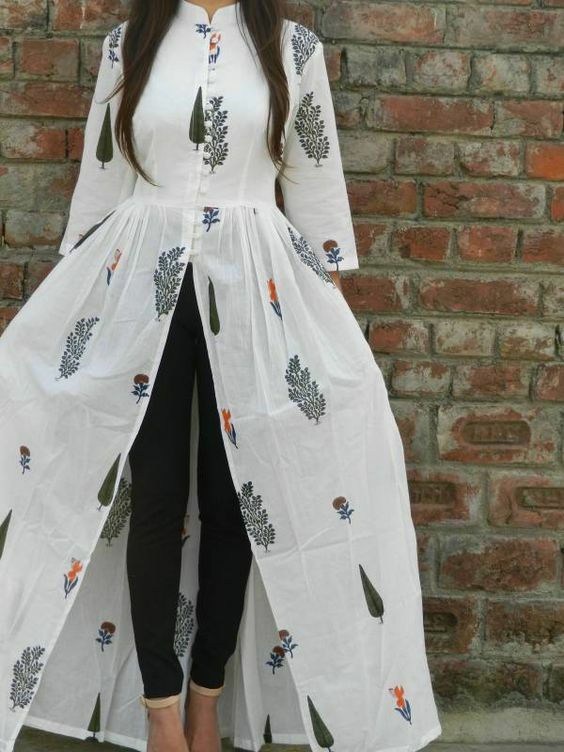 Long kurtas and Kurtis are very much in fashion. Block Printed Full length Kurta– The Indigo block prints over white cotton totally makes the fabric summerish. 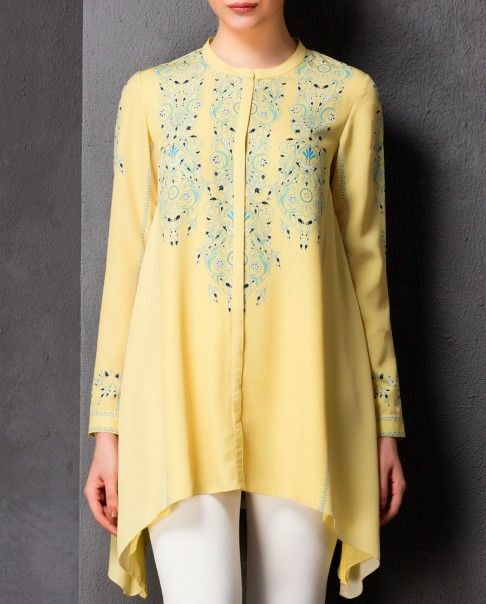 A long flared kurta in a breezy and flowy silhouette is perfect for summer fashion. The side slit cut kurta– Try the side cuts instead of the regular side seam slits. They look stylish and different and make a perfect stylish kurti for the look. 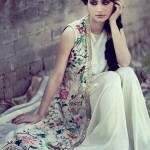 The Front Slit Kurta– They look gorgeous with gathered waist style. Gathers add the extra flare for a relaxed silhouette. Asymmetric hemline– Try different hemlines, like asymmetric hemline for Kurtis. They make a simple silhouette more stylish. Where can I buy the black and red side slit cut kurta in the uk. Thanks for showing interest in our articles. This particular style was on Indianroots.com. 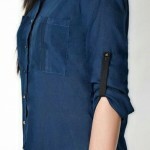 But you can find something similar on websites like http://www.andaazfashion.co.uk/womens/kurti-tunic and http://www.omsara.co.uk/. They are available to ship in UK.